DHS Found a Golden Ticket! 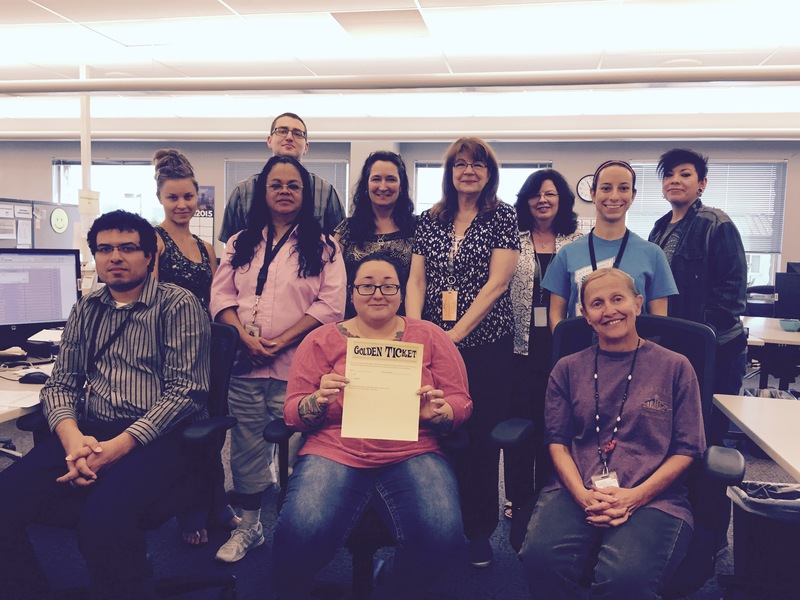 Denver Human Services (DHS) staff in the Everything Else flow cells process and index thousands of documents daily. Their supervisors track how long it takes to process each day’s work, an additional duty on top of running a very busy system! The goal is to turnaround documents within 24 hours, max. For example, if the last document was received at 3pm, the item should be scanned and indexed by 3pm the next day. The quicker the documents are indexed and scanned, the sooner DHS Family and Adult Assistance Division (FAAD) Eligibility Technicians, managers and supervisors can use them. The supervisors and managers of the flow cells aim to get the documents processed within 20 hours, but without a good process to track the actual time, they couldn’t improve this time. 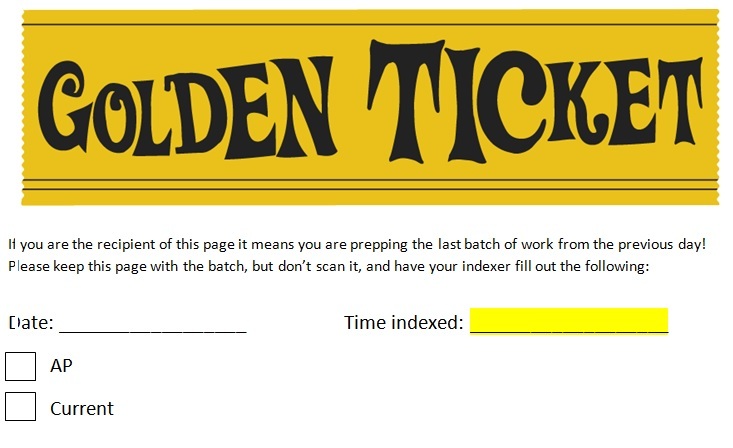 Their solution: create a “Golden Ticket” document that moves with the stack of documents processed for that day. By noting when the document was put in the stack and when it was indexed with the rest of the batch, they can more easily tell how long it takes to process a day’s worth of incoming documents. Using this simple piece of paper and a spreadsheet to enter the data, the supervisors have saved time tracking the work and can now definitively say that they are already processing documents in under 20 hours. Greg Reger coordinates behavioral economic analyses, trains and coaches employees on data analysis and visualization, supports open data initiatives, advises agencies on performance indicators, and supports other analytics offerings with Peak. Since starting with Peak Academy in 2013, he has trained over 1,000 individuals in process improvement, change management, behavioral economics, and data-driven decisionmaking. Prior to joining Peak, he worked as an ICMA management fellow with the City of Hamilton, OH, and managed contractors & performed weatherization audits with a large Chicago nonprofit. Greg holds an MPA from Syracuse University's Maxwell School and an undergraduate degree in Business (with minors in Mathematics and Religion) from Lake Forest College.